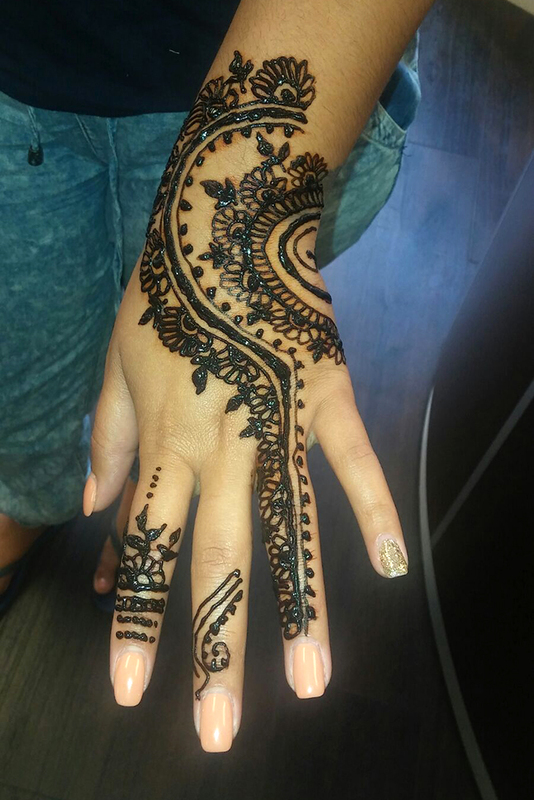 Learn about the tradition of the mehndi (henna tattoo) in Eastern and Middle Eastern cultures, and see samples of our work, or learn about our tattoo services. The size, intricacy, and location of the design will determine the cost of your tattoo. 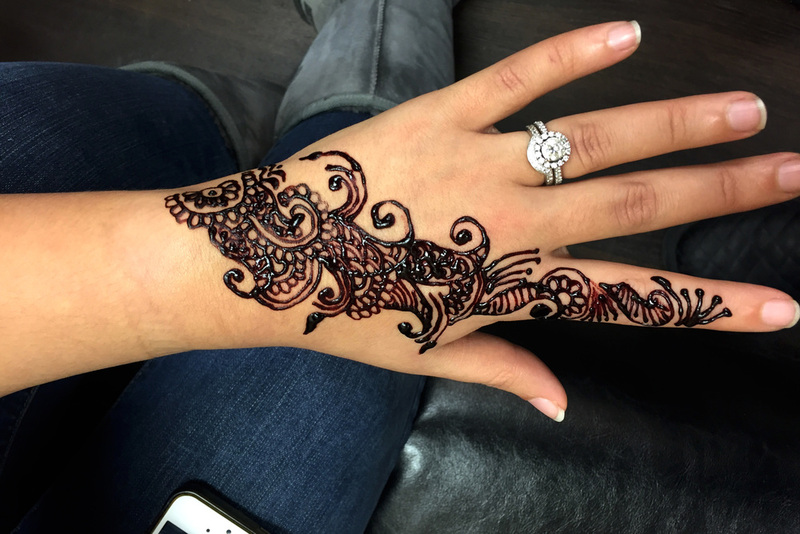 Click here to request more information about henna tattoo services at a location near you! 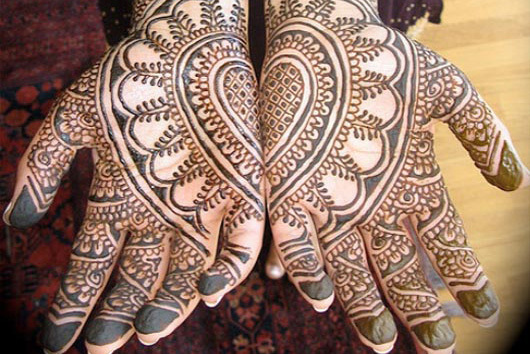 Henna tattoos, or mehndi, are created with a temporary dye paste made from the crushed leaves and twigs of the henna plant. 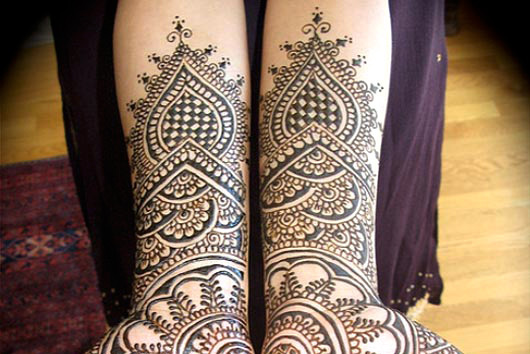 A henna paste is applied to the skin in the desired design. When the past dries, the reddish brown dye will last up to a month -- depending on your skin, the location of the design, and how frequently the area is washed. In recent years, thanks to celebrities like Madonna, and Rihanna, henna tattoos have become extremely popular in the West as an alternative to more permanent ink tattoos. 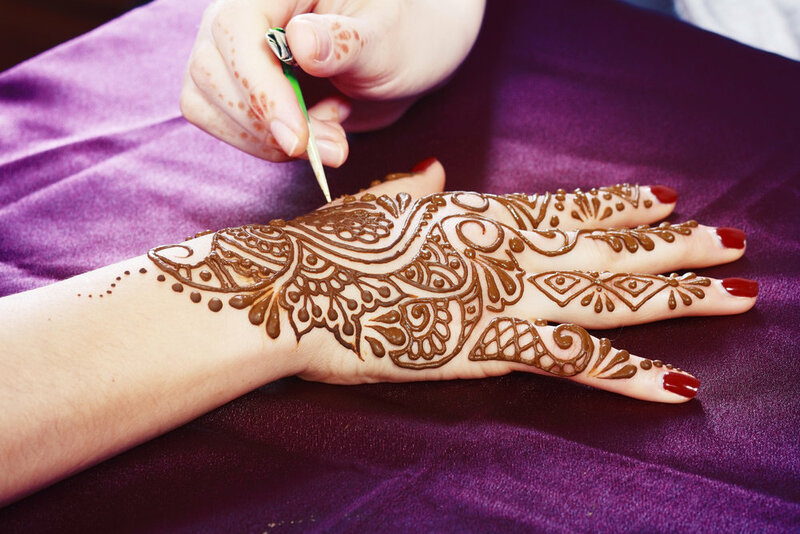 Learn more about our henna party service! 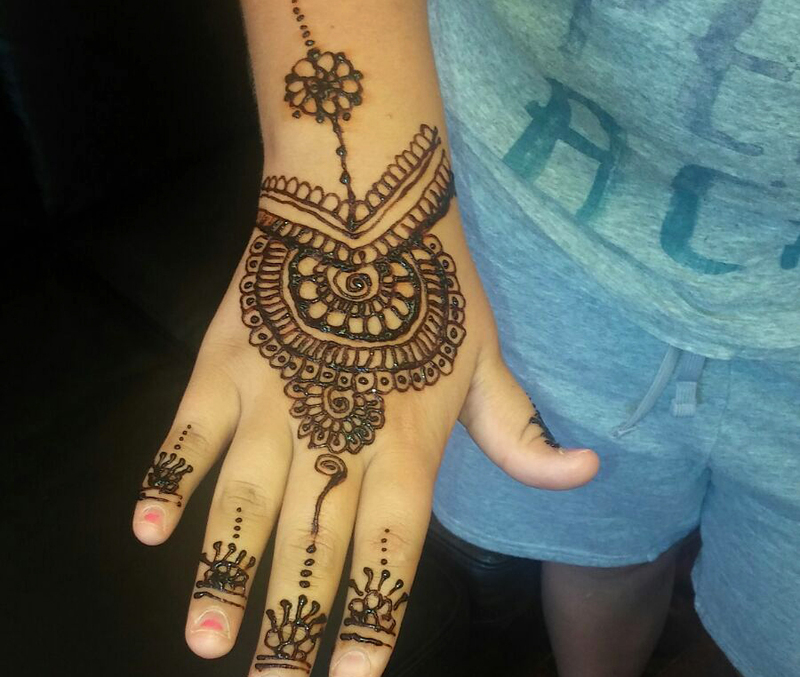 Check out our gallery of henna tattoos for a small sampling of the different styles of tattoos offered by us.